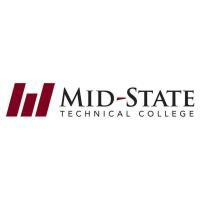 Mid-State awarded $15,000 Gene Haas Foundation Grant for Machine Tool Technician Students. WISCONSIN RAPIDS – The Mid-State Technical College Foundation recently accepted a $15,000 grant from the Gene Haas Foundation, to be directed to a post-secondary program that teaches computer numerical controlled (CNC) machine technology. The money will be used to fund student activities and provide needed industry tools to graduating students starting their careers. This marks the fourth consecutive year Mid-State was awarded the grant, totaling $49,000 to date. “These funds have had a tremendous impact on our ability to take students to trade shows and other events to experience the precision machining industry firsthand,” said Mike Berry, Machine Tool Technician instructor at Mid-State. Started in 1983 by Gene Haas, Haas Automation is now America’s leading builder of machine tools and a billion-dollar company. In 1999 Gene Haas founded the Gene Haas Foundation to provide scholarships and grants to help fill an anticipated huge increase in the demand for skilled technicians in manufacturing, which has been projected to create 2 million unfilled jobs nationwide. More information about the Mid-State’s Machine Tool Technician program can be found at www.mstc.edu/programs.